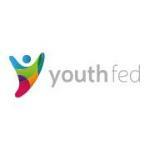 We are Youth Fed. A youth charity that supports over 5,000 young people between the ages of 8 and 25. Based in the North West, we run youth programmes in Cheshire, Halton, St Helens, Warrington and the Wirral to give support to those who need it. You can download our latest 2016/17 Annual Report by clicking here. Do you need further support? Perhaps you are struggling to build your confidence, need someone to talk to? Our Direct Delivery team offers a range of personal and social development programmes suited to you, to ensure you can discover and maximise your potential.